We got to hang out at the Dallas IMS this weekend and catch up with a bunch of our motorcycle friends at the show. 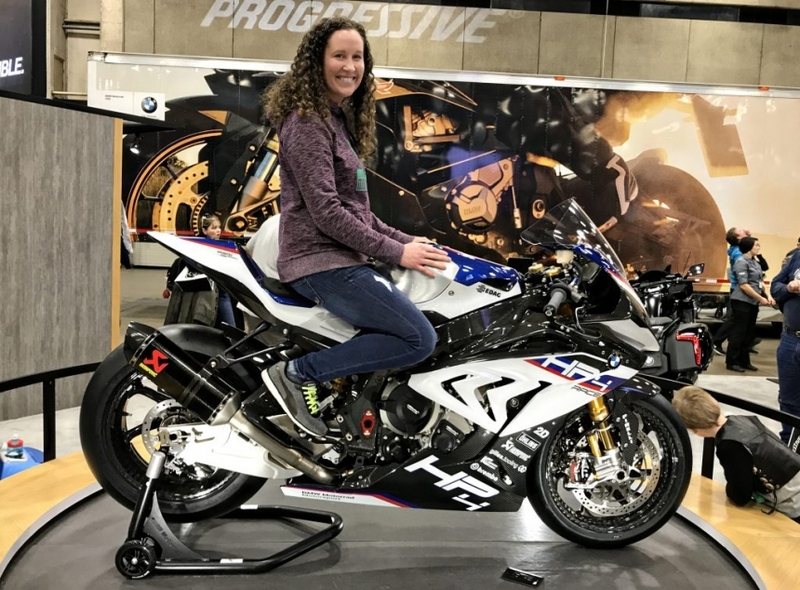 Elyse loves seeing her buddies at the BMW booth and chatting with Nate Kern about the S 1000 RR. She also enjoyed seeing Sofi Tsingos and Krystal Hess and checking out the bikes they entered in the Ultimate Builder Custom Bike Show. There were some awesome custom bikes in the show and also lots of bikes to check out at the manufacturer booths. The Metal Mulisha Fitz Army high-flying freestyle motocross show was awesome as well. The highlight of the show was getting to spend some time with the BMW HP4 Race in all of its carbon fiber glory!